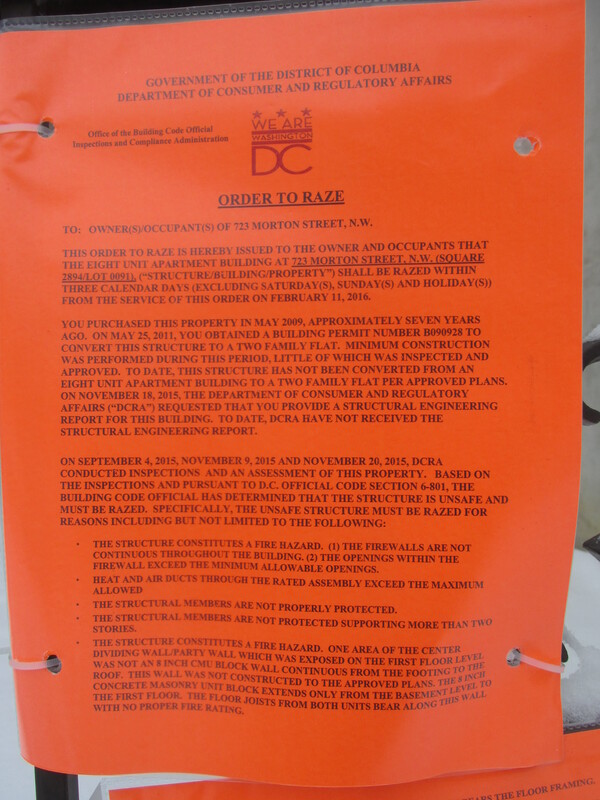 DCRA Considers 723 Morton Street Unsafe, Orders It Razed | Park View, D.C. 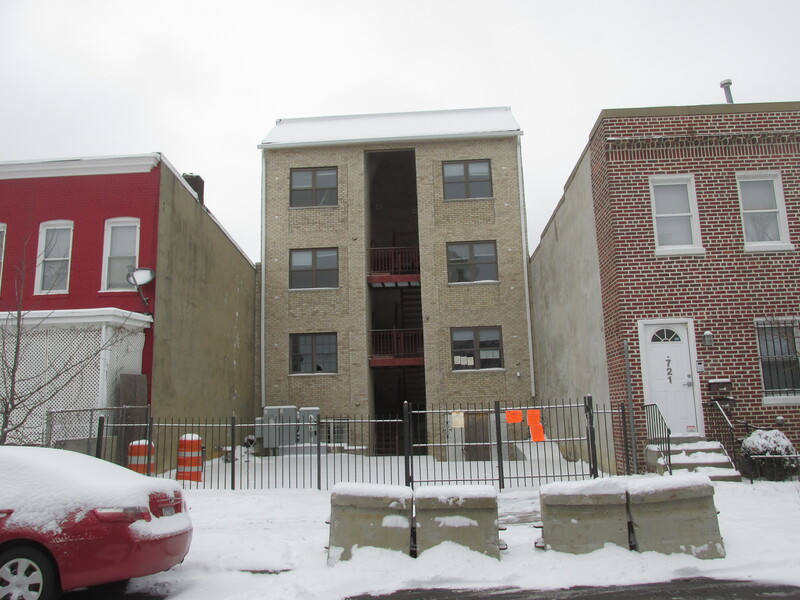 This entry was posted on February 16, 2016 at 7:01 am and is filed under DCRA, Development. You can subscribe via RSS 2.0 feed to this post's comments. Finally. 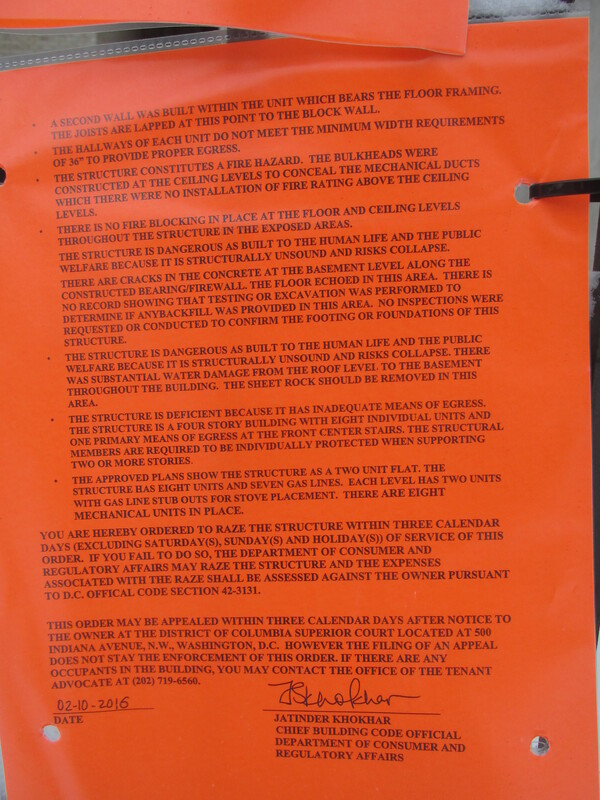 This house has been unsafe and illegal for just shy of a decade as mentioned above. It is unbelievable that DCRA has let this circus of a property continue to go this long already (bribes and incompetence likely are contributing factors). It is good to see they are finally taking action on years of unpermitted and illegal construction by a developer who has shown zero regard for law or safety. Maybe a new era for DCRA?!? 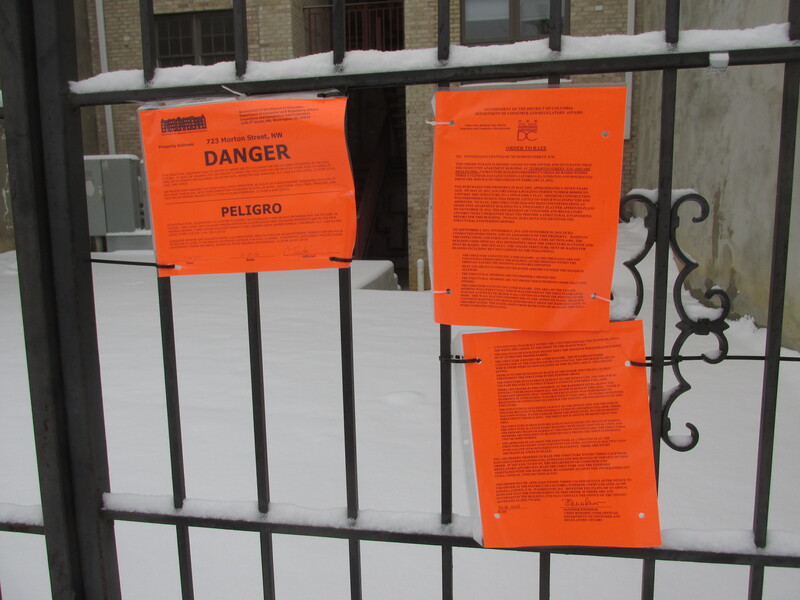 …also DCRA’s “bring into compliance” policy should be used for minor issues and be given a limited amount of time to conform, neither of these remotely applied to this property. I hope they start doing that to some of the shoddy pop-ups that have been going up in the neighborhood.